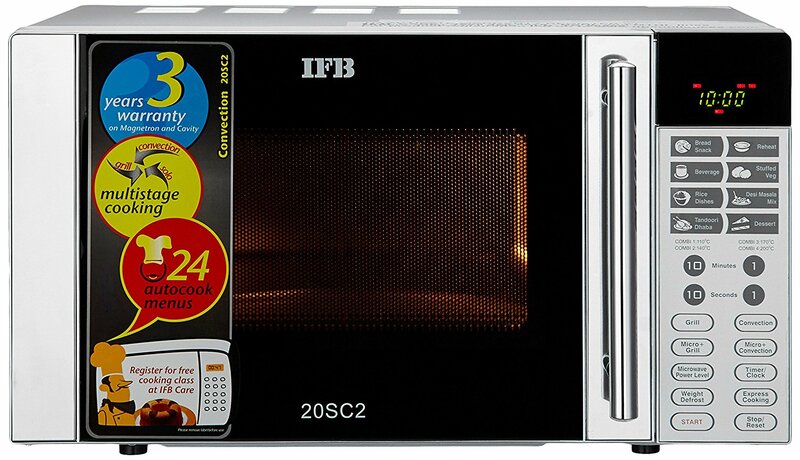 IFB 30 L Convection Microwave Oven (30SC3, Metallic Silver) carries a bunch of impressive features for easy cooking at home. It has stainless steel cavity, LED display, 10 power levels, multiple cooking modes (grill, microwave, convection), speed defrost, steam clean, 32 auto cook menus, express cooking, quick start, auto reheat, deodorize, keep warm and child safety lock. 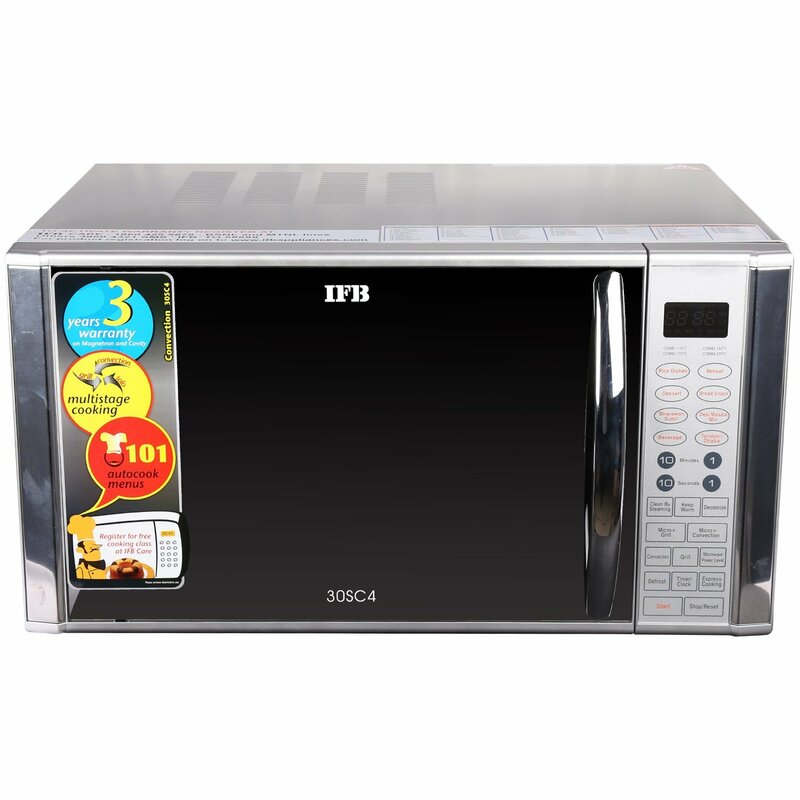 This IFB 30 liters microwave oven is the must-have unit for any kitchen. It can greatly reduce your cooking time. You just need to push the start button and it will start cooking at a default time of 30 seconds. 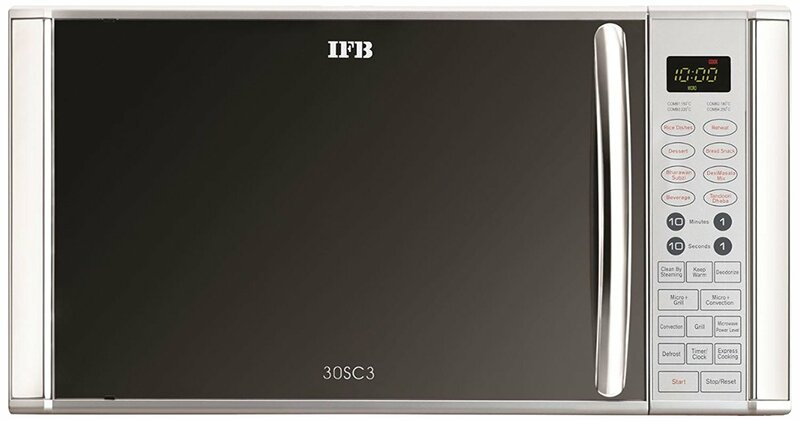 Further, IFB 30SC3 has 32 auto cook menus, which are great for exploring different cuisines at the comfort of your own home. You just need to enter the weight of food and the auto cook feature will take care of the rest of the things. On the other hand, it has ‘keep warm’ feature that lets you conveniently leave prepared meal in the microwave oven for up to 90 minutes and there is no fear of overcooking related things. 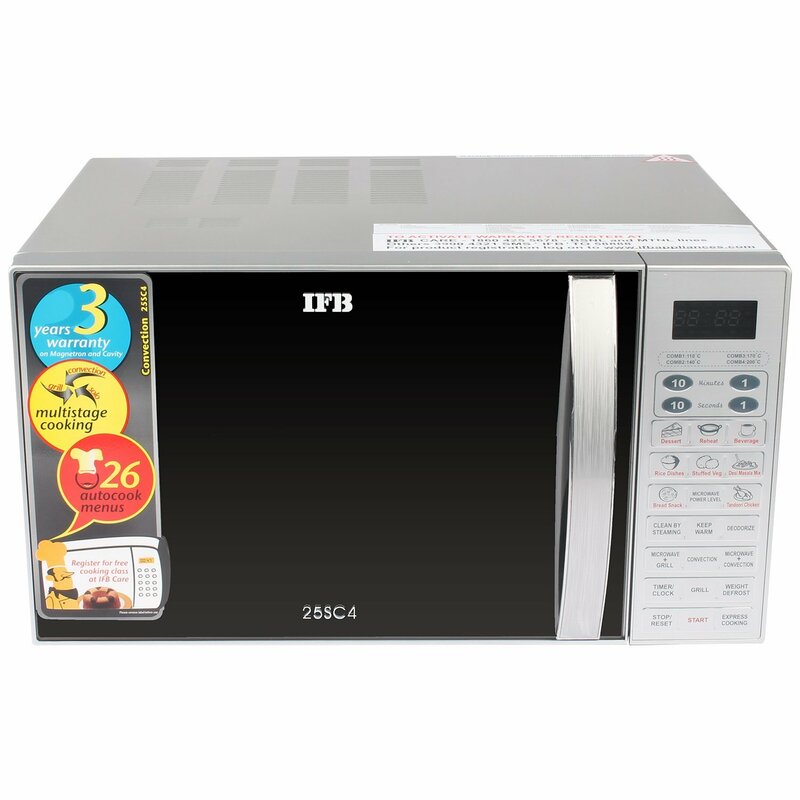 Of course, this IFB 30 liters microwave oven provides hygienic, fast and safe cooking without any doubts. It carries steam clean feature that uses steam to help you wipe away dirt very easily. On the other hand, the deodorize function removes all the food particles and helps in maintaining hygine. With the capabilities such as combination cooking, multi-stage cooking and speed defrost feature, you can easily make delicious foods for your family and guests. It also comes with a child safety lock to keep this IFB microwave away from your inquisitive children.